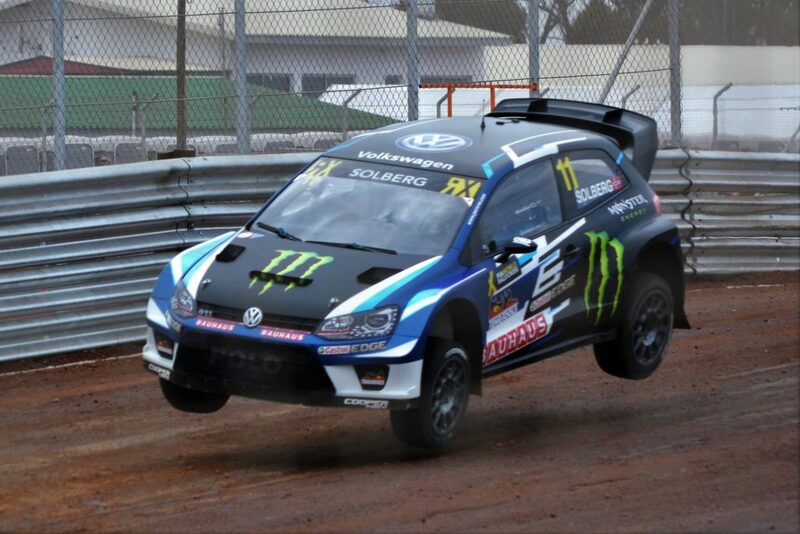 Sweden’s Johan Kristoffersson entered the record books as the PSRX Volkswagen Sweden driver won the first ever World RX event staged in Africa. 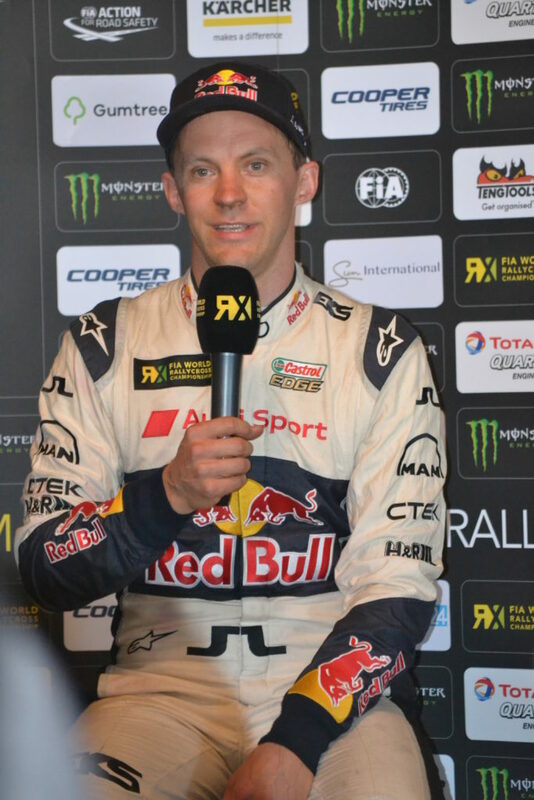 Former World RX Champion Mattias Ekstrom finished third and consequently secured the runner-up spot in the 2017 championship after a season-long battle with Petter Solberg. 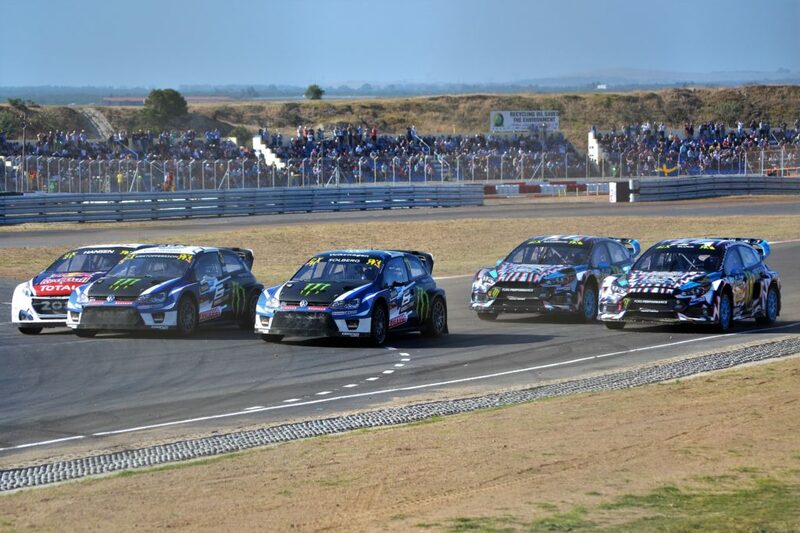 Team Peugeot-Hansen’s Timmy Hansen claimed second at this weekend’s Gumtree World RX of South Africa – the 12th and final round of this year’s FIA World Rallycross Championship presented by Monster Energy. MJP Racing Team Austria’s Timo Scheider’s rounded out the top five in Cape Town after an impressive rookie season at the wheel of his Ford Fiesta. Kevin Hansen finished sixth, the Swede having retired shortly after the start with transmission problems. 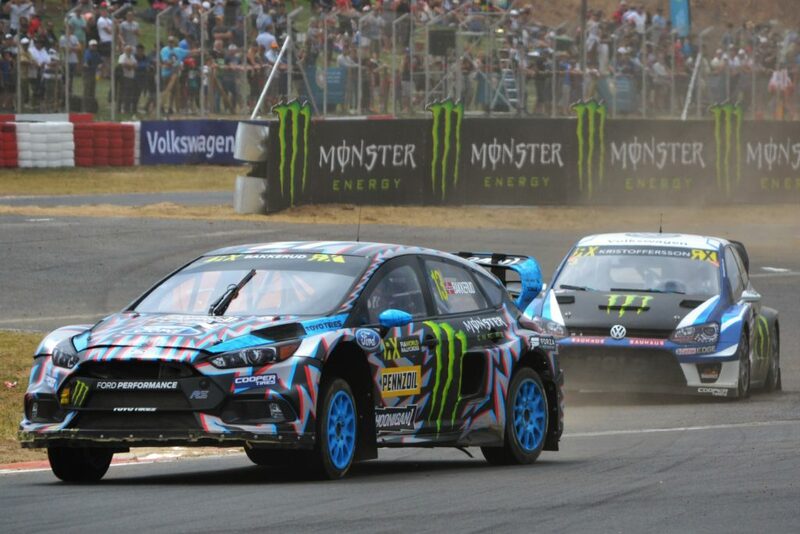 In what marked the final event for the Hoonigan Racing Division, America’s Ken Block showed fantastic pace. 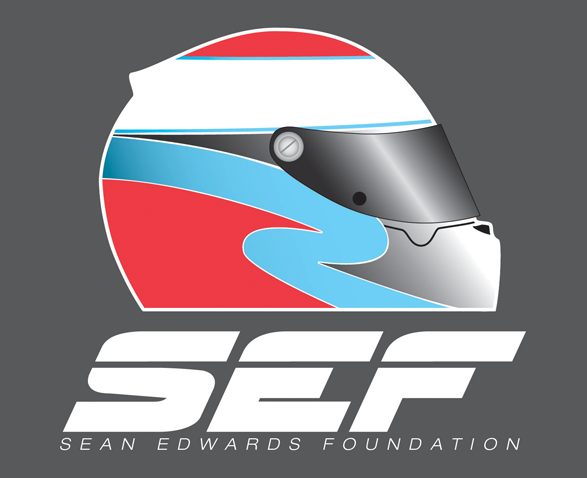 He led the event overnight and finished second in semi-final one but was later disqualified as his car was found to be underweight. Nine-time WRC Champion Sebastien Loeb retired on the final lap of the second semi-final but rounded off the season fourth in the overall standings – 13 points ahead of his team-mate Hansen who ends the year in fifth place. 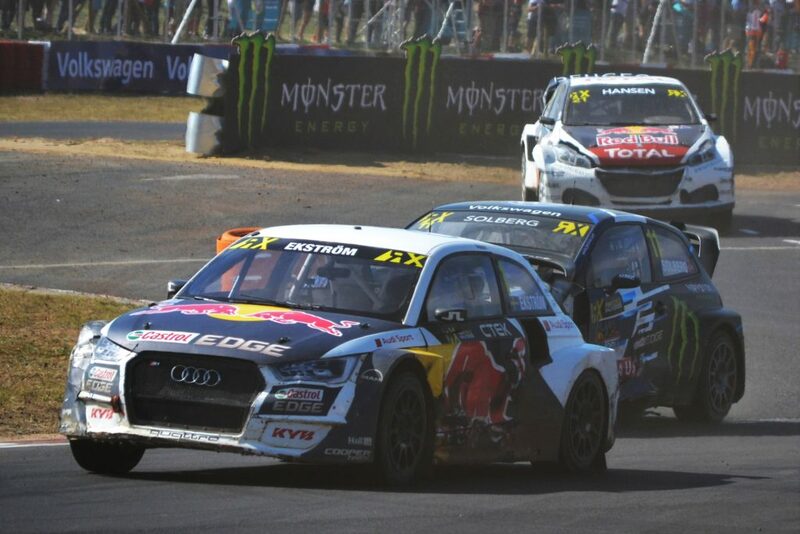 Home favourites Mark Cronje and Ashley Haigh-Smith received tremendous support on their World RX debuts but neither driver made the semi-finals. 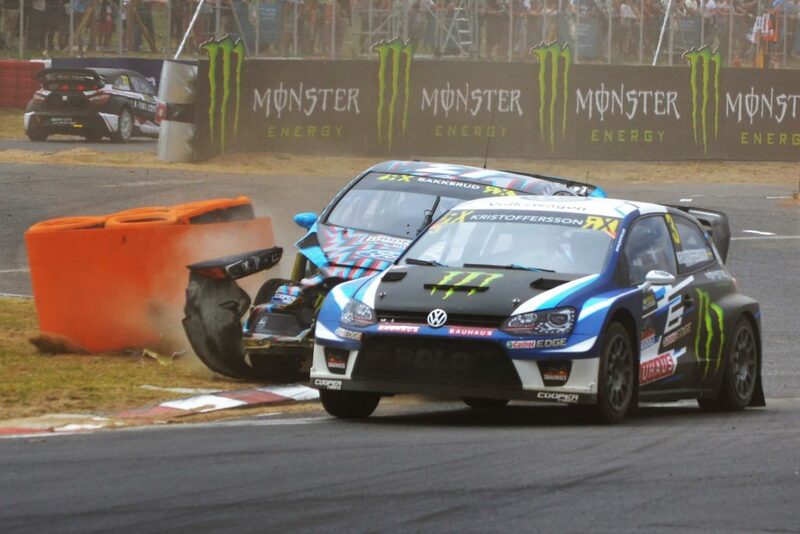 Cyril Raymond completed a sensational season in the RX2 International Series presented by Cooper Tires with a hard-fought victory at Killarney International Raceway this weekend (11/12 November), as South Africa played host to a pulsating finale that served up lap after lap of spectacular high-octane action. 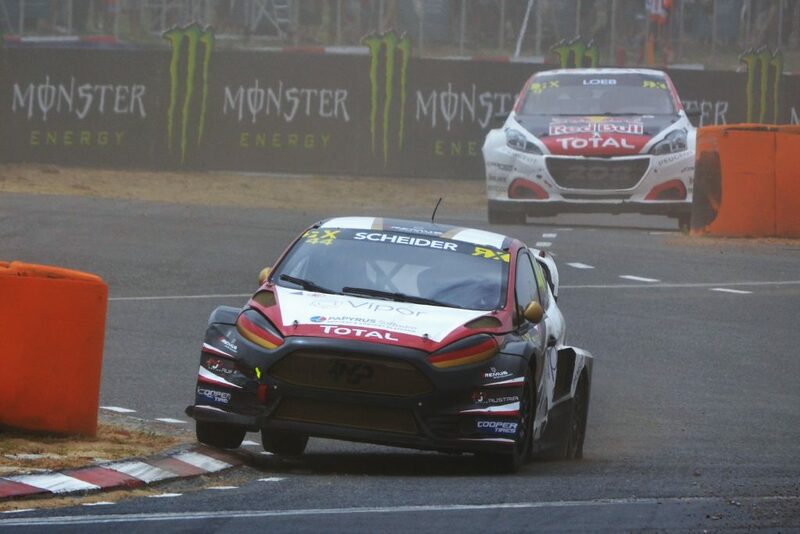 He might have been unquestionably the man to beat this year in the official FIA World Rallycross Championship feeder series, but Raymond found himself with a real fight on his hands in Cape Town and had to dig deep to overcome the challenge posed by JC Raceteknik rival Guillaume De Ridder, who dominated Saturday’s Qualifying Races. The Belgian looked to be on-course for a fourth straight runner-up finish, only for engine woes to dash his hopes in the final and elevate his team-mate Sondre Evjen into second place. Tanner Whitten joined the young Norwegian on the podium in third after surviving a wild spin when he was tagged on the opening lap of Q4. 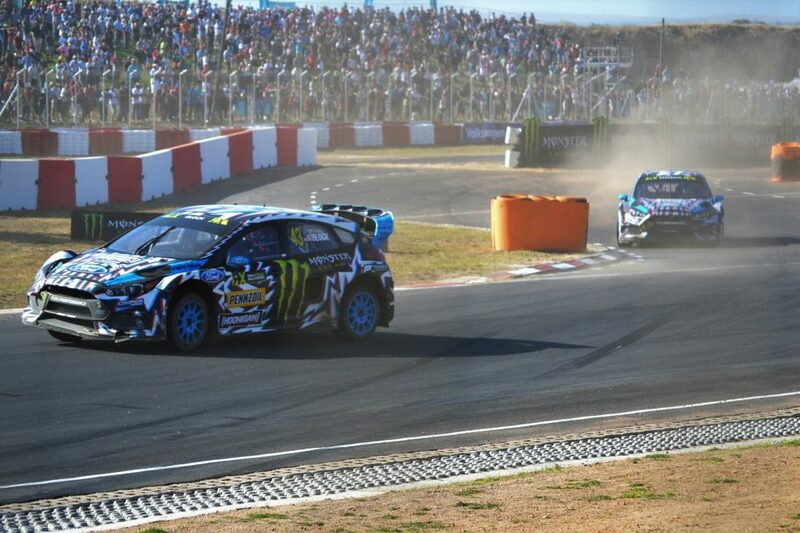 Gumtree World RX of South Africa was very much a weekend of two halves as far as the Qualifying Races were concerned, with De Ridder proving to be peerless on Saturday as he impressively took a clean sweep of fastest times – meaning that for the first time since Mettet back in May, a different name topped the RX2 Intermediate Rankings at the close of day one. After uncharacteristically jumping the start in Q1, Raymond was playing catch-up, but the Olsbergs MSE star really turned up the wick on Sunday and allied to a double dose of misfortune for De Ridder – with contact from behind in Q3 and minor wheel damage in Q4 – his results vaulted the Frenchman to his habitual position at the summit of the standings. Behind the top two, Evjen produced a consistently strong run – including the second-fastest time in Q4 – to place third, ahead of the ever-improving Vasiliy Gryazin (Latvia), Britain’s Dan Rooke and American ace Whitten. Swedes Simon Olofsson and Andreas Bäckman, Norway’s Thomas Holmen, Swedish teenager William Nilsson, Anders Michalak (Sweden) and Norwegian Simon Syversen rounded out the semi-final line-up. From pole position in Semi-Final 1, Raymond led into the first corner as a squabble behind gifted him a sizeable margin. It was Rooke that emerged from the mêlée in second, with Olofsson third and Evjen dropping to fourth. The Norwegian subsequently found himself having to fend off fast-starting compatriot Thomas Holmen over the opening lap before electing to take an early joker. It was a tactic that would pay off richly. As Raymond raced clear to a runaway success, Evjen’s eye-catching pace enabled him to leapfrog both Rooke and Olofsson when they jokered, the latter paying the price for getting his car up on two wheels as he pushed hard in an effort to stay in front. The Swede ultimately missed out on the final by less than two seconds, while behind, Holmen and Syversen waged their own entertaining duel over fifth, exchanging places twice on the last lap before the older of the two Norwegians eventually prevailed. In Semi-Final 2, De Ridder held his ground at the start as Gryazin got the better of Whitten and Michalak for second and Bäckman and Nilsson disputed fifth. Whitten jumped Gryazin after both had served their jokers, following which he unleashed a scintillating turn-of-speed as he endeavoured to hunt down De Ridder, closing to within three-quarters-of-a-second by the time the chequered flag fell. 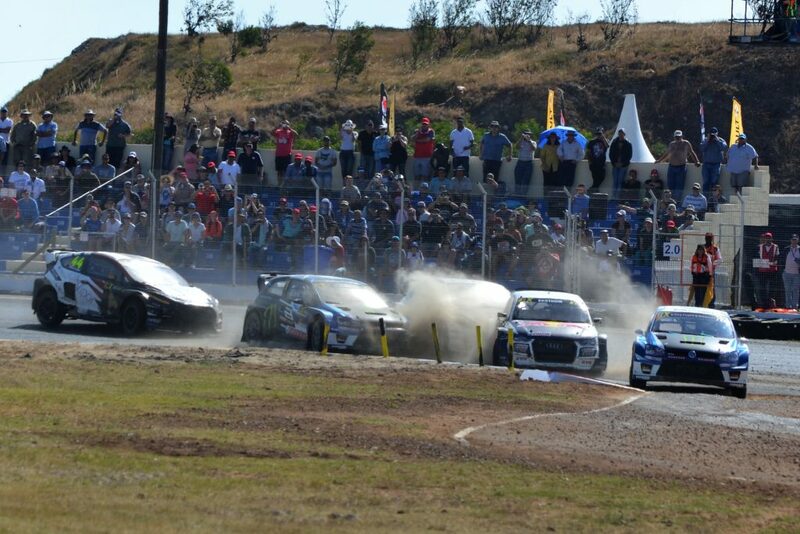 Michalak got the best of a tooth-and-nail scrap with countrymen Nilsson and Bäckman for fourth. Raymond led away at lights-out, with De Ridder doing well to save a slide through Turn One after receiving a tap. The Belgian had to fight hard to fend off the attacking Whitten, but it all became academic when the red flags flew on lap two after Rooke’s world turned upside-down – quite literally. The Briton clipped the tyres at the chicane, pitching him into a dramatic roll from which he thankfully emerged unscathed. The recently-crowned champion got the jump again at the re-start, as De Ridder slotted in behind and Gryazin took advantage of Whitten and Evjen battling to sneak through to third. As dust clouds billowed all around the circuit, Raymond made good his escape and De Ridder similarly settled into second until he suddenly stopped on the penultimate lap with engine issues. His loss was Evjen and Whitten’s gain. The pair both used early jokers to get some clear air, and that paid dividends as they overhauled Gryazin to snare the remaining rostrum positions. 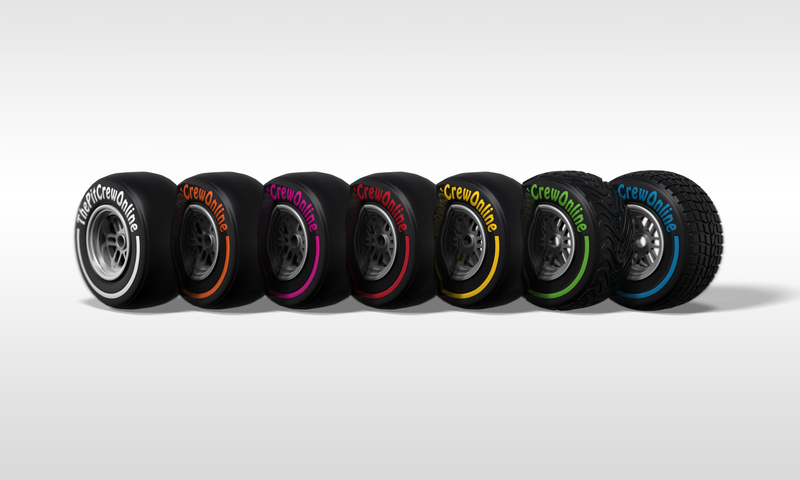 All three podium-finishers stopped after the chequered flag to perform celebratory donuts, to the palpable delight of the enthusiastic crowds thronging the circuit grandstands. 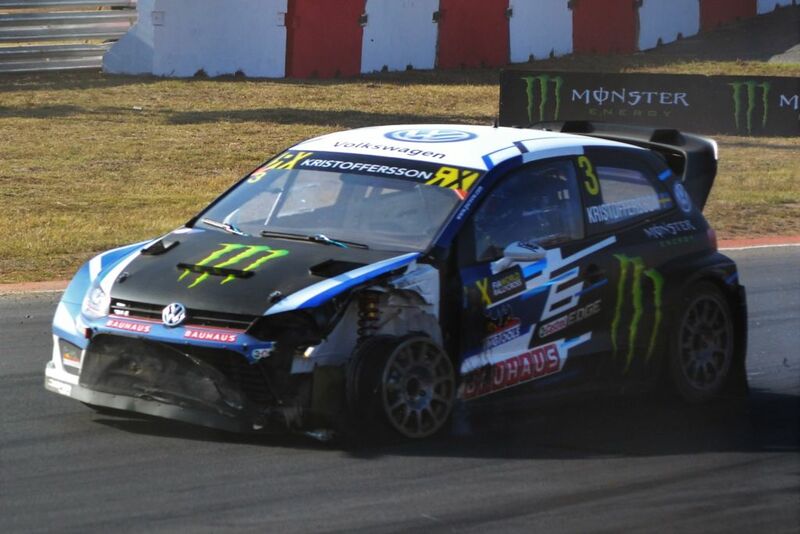 Niclas Gronholm #68, loss of 10 Championship points for use of a seventh turbocharger in the season. Mattias Ekstrom #1, five-second penalty in Q2 for causing an incident with car #44, pushing and overtaking. Janis Baumanis #6, reprimand in Q2 for pushing. 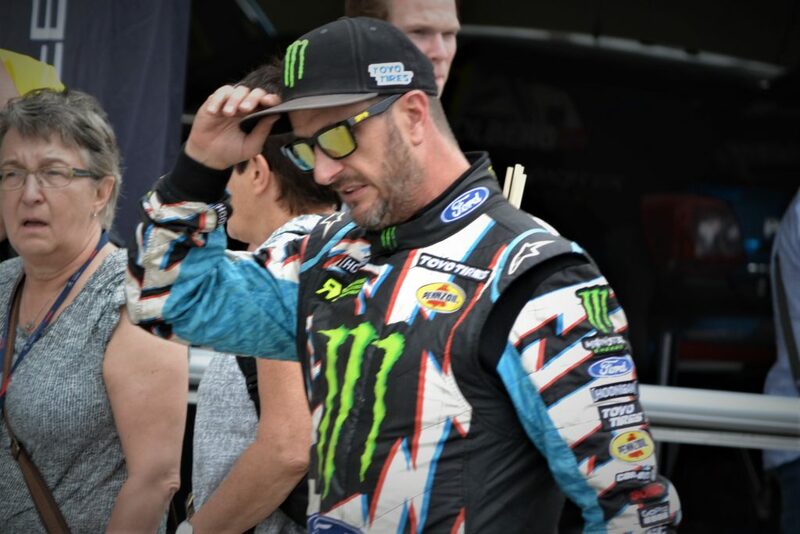 Ken Block #43, disqualified from semi-final two after car was found to be underweight. Mattias Ekstrom #1, relegated from second to third place in semi-final one for not respecting the priority of the driver on the standard lap at the Joker merge. 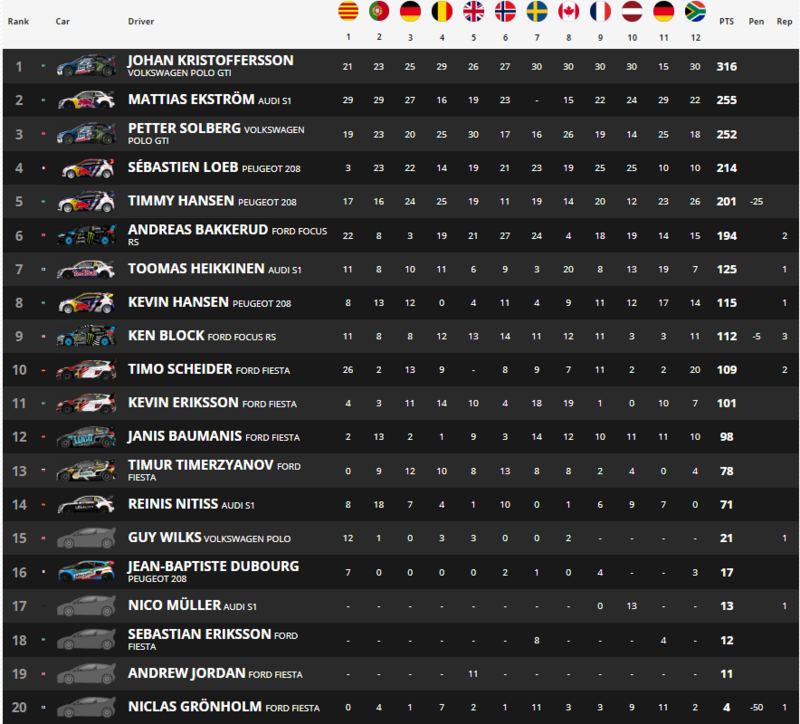 Timo Schedier #44, reprimand in semi final two for pushing. William Nilsson #6, five-second penalty in Q3 for causing an incident with car #96.